5 Thing to do at your Muskoka cottage when it is wet or cool! With this August being a little cooler than expected you may be spending a few extra hours inside your Muskoka cottage than you usually spend. Sad and bored children can put a real damper on a summer weekend or vacation; no swimming, no boat rides and no hours spent relaxing by the lake with a good book. Instead, you’re stuck inside and it’s easy to go stir-crazy without your favourite TV stations and internet to keep you occupied. Here are five family-friendly ideas to pass the time on a rainy cottage weekend. Summer scrapbook – Get the creative juices flowing by creating a summer scrapbook! This requires some preparation ahead of time to collect all of the supplies, but it makes a great weekend project. Print out some favourite photos of the summer, and grab some fun and bright scrap-booking supplies and you’re all set! Give your kids creative freedom to make their own page in the scrapbook and put a few together as a family. This will be a great memory for the whole family! Movie marathon – There’s no better way to kill a few hours than by watching a good movie. Why not curl up on the couch with some popcorn and your favourite series of movies. Some great movie marathon suggestions include the Pirates of the Caribbean trilogy, the Lord of the Rings trilogy, and no movie marathon would be complete without fan favourites, Star Wars and Harry Potter. Picking a trilogy is a great fun solution to a long rainy day. Baking – There’s nothing better on a rainy day than spending an afternoon baking a batch of cookies. If you’re looking for a great recipe, the chocolate chip recipe on the Crisco box is awesome. If cookies are not for you, try a peach cobbler as the peaches are simply delicious this time of year. If the rain stops you can try looking for some wild blackberries usually around in August too. They make a great addition to the peaches! 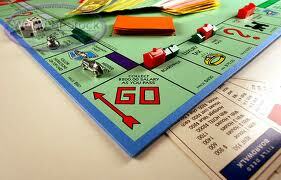 Board games – Board games are a classic rainy day activity and they’re great for family bonding. Dust off the old Monopoly, or bring out the game of Boggle for some healthy competition and intellectual family fun! Some other family favourites include rummy and domino’s. If your cottage is without these great items check out the thrift store as they are often available there. There is no doubt that long hot sunny days at the Muskoka cottage are what we all hope for but being able to spend the day enjoying friends and family, eating cookies and playing games, is wonderful too! Remember that a vacation is a break from work and routine and is a time to reconnect with the most important people in our lives and we do not need sunshine for that!